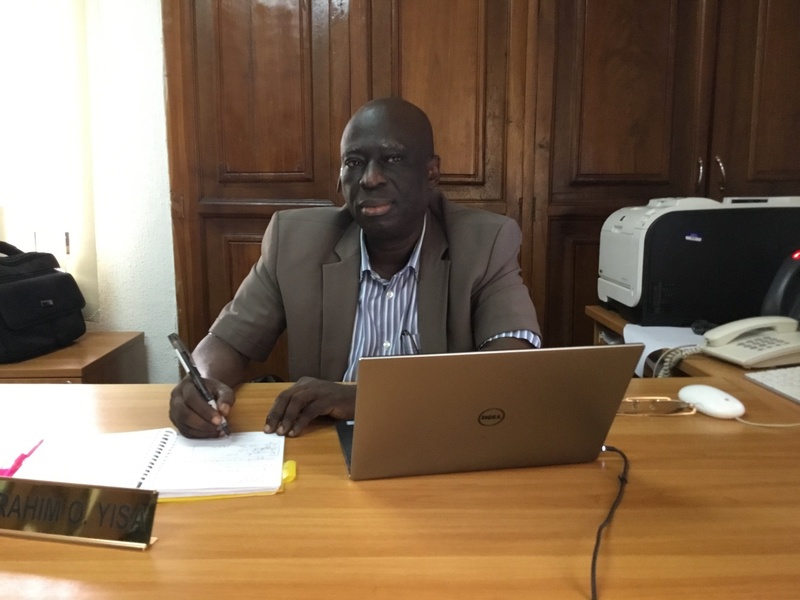 Following the passing of our former Team Leader, Dr Goli Lamiri in early May 2016, we would like to take this opportunity to welcome on board our new Team Leader, Dr Ibrahim Ozovehe Yisa with open arms, who took up his duties on 14th December 2016. He is a great medical professional with 40 years of experience working in Public Health, health care and public administration (health policy; M&E; maternal health services; immunisation: service delivery system, cold chain management, epidemiology, disease surveillance) in Nigeria with numerous international donors. He understands the stakes at hand and knows the importance of his country to be able to undertake this important task. He is fully committed to taking up his role and integrating into the Technical Assistance Team, who had maintained the Project activities during the absence of a Team Leader, with even more dedication from the Acting Team Leader, Ms Aminata Sidibé (Training & Contracting Advisor/Procurement Expert), Dr James Attah (Immunisation Expert), the national staff and support from Headquarters. A special thanks to all and “bienvenu” to Dr Yisa. All the EU-SIGN States share the same objectives and work plan, with specific activities that address the immunisation situation in the States and that support the SPHCDA. Each State has a State EU-SIGN Team, comprising of a State Technical Assistant (STA), who works with a State Focal Person, State Counterpart Officer and EU-SIGN State Accountant seconded from the government in order to build local capacity and ensure continuity when the Project ends. The State EU-SIGN team works in tandem with State and other RI partners to implement the State annual work plan and Project specific activities in the four result areas. The STA has an office in the SPHCDA. 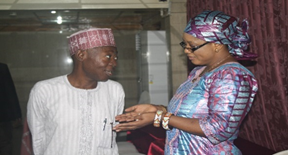 A Technical Advisory Team (TAT) in Abuja provides technical guidance and support to the State teams. Fact Sheets summarising activities in each State have been produced to help inform field, advocacy and supervision visits. However, there are many cross-cutting issues across States and this Fact Sheet provides a summary of overall structural issues for immunisation and PHC services. In 2014, during the Ebola outbreak in West Africa, the Emir of Kano established a technical committee to develop a strategy to prevent Ebloa from spreading into Northern Nigeria. The committee was composed of 14 health professionals who were to identify an approach that would inform people and create awareness on Ebola. The committee identified a way of sending information through the traditional Emirate structure, from the district, to the village and to the traditional wards. This resulted in a far-reaching network that facilitated health communications to the people of the Emirate. The Emir of Kano saw the success and wanted to use this same structure to strengthen health and routine immunisation; increase access to drugs; improve outreach services and reduce environmental hazards that result in serious injuries such as drowning or unsafe use of pesticide. He developed the Kano Emirate Council Committee on Health (KECCoH) and the Community Women and Child Survival System (COMWACSS). 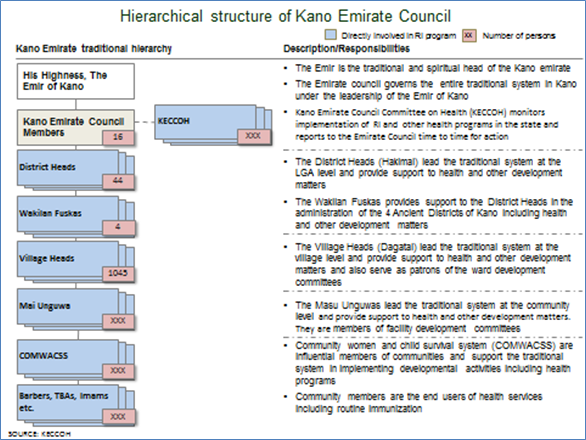 The KECCoH uses the traditional Emirate structure to assign specific health roles and tasks to people at different levels of the hierarchy. See diagram below, courtesy of the KECCoH. The COMWACSS is composed of key individuals at the traditional ward level (smaller units than the political ward) including Imams, traditional birth attendants (TBA), headmasters, business owners, barbers, and a literary member of the community who acts as secretary. The traditional Ward System appear to be more sustainable and compliant than the political Wards as it is less influenced by political changes. The Village Head serves as the patron of the COMWACSS. 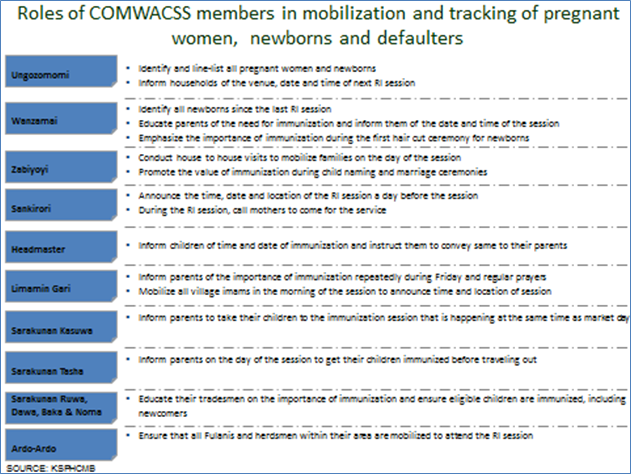 COMWACSS work to increase awareness on health services and encourage parents and caregivers to vaccinate their children and use the health services, spreading a broad message to many people within the community. They also collect information from the community on pregnancies, neonatal and maternal mortality, births, use of vaccination services (including outreach), date of vaccination, and completion of vaccination. Unvaccinated children are followed up by the COMWACSS. This data is then reported up the system and shared with the different levels of the Primary Health Care structure. Data is collected manually now using traditional tools in local language, but the goal is for data to be available electronically. The COMWACCS also ensures quality of health services and ensures that health services are provided on time and that supplies are available. Any problems with the health service are reported up the hierarchical structure and also to the State Primary Health Care Management Board (SPHCMB). On 28 April, Dr. Attah and Mrs. McArthur met with Dr. Daiyabu Muhammed (STA), Dr. Aminu Mukhtar (State MOH, KECCoH/Secretariat), Dr. Y.M. Sharif (State Immunisation Officer, SPCHMB) and Dr. Alhaji Bashir Sunusi (EU-SIGN Focal Person, SPHCMB) to review the agenda for the visit and to debrief and ask questions on KECCoH. We reviewed the structure, described the process for data collection and use by the SPHCDA and looked at the opportunities of working within the structure to engage communities. We also talked about what opportunities there are for EU-SIGN to learn from the model in Kano and how it could be applied to other EU-SIGN States taking into account the geopolitical and sociocultural differences in those States. Use of traditional infrastructure for community engagement will be reviewed and applied in other States implementing tripartite agreements with the Dangote Foundation and the Bill and Melinda Gates Foundation (BMGF). These States include Bauchi, Borno, Kaduna, Katsina, Sokoto and Yobe. This will be done at the first instance because of sociocultural similarity with Kano and presence of BMGF and Dangote in most of these States before extending to EU-SIGN States in Southern and Central States of Nigeria. There has been one training in one zone so far. Participants included district heads, chief Imams, the zonal health educator, the zonal MCH coordinator, LGA immunisation officers, and LGA MCH coordinators. During the training they reviewed roles and responsibilities of different people within the KECCoH; how to use data monitoring tools; and were trained on routine immunisation and other health issues. Eventually, every traditional leader will be trained. EU-SIGN provided support for this first training. MNCH2, CHAI, WHO and UNICEF are also providing support for the initiative. Funding is through the Emirate, however, partners help pay for district head meetings, printing and training support. The initiative is being rolled out all at once across to ensure equality across the State. On 29 April, the team met with the District Head of Ajingi and Sarki Yaki of Kano and KECCoH Chairman, Honourable W. M. Alhaji Wada Aliyu Gaya former Permanent Secretary in Federal Ministry in the 80s and were joined by Dr. Shehu U. Abdullahi of the KECCoH. Chief Aliyu is very active in the KECCoH and was one of the original technical team members during the Ebola outbreak. He has also been a longtime supporter for polio eradication and strengthening of routine immunisation and is on the Emirate Council polio and RI taskforce. Chief Aliyu gave the team an historical overview of the KECCoH as well as a very detailed discussion on the importance of working through the traditional Emirate structure and the great potential and reach of the COMWACSS. Each member of the COMWACSS has a specific role and importance in the community and working with the committee can reach unreached women and children and encourage them to use health services and vaccination. One point of discussion was to include a local mechanic/technician in the COMWACSS, given that many wards will have received or will soon be receiving direct-drive solar refrigerators. This person could help with general maintenance of the refrigerator and it would help to reinforce that the refrigerator belongs to the community and serves the community’s children. The KECCoH is a very strong initiative and has very good support and collaboration with the SPHCDA and partners. EU-SIGN has participated in trainings and meeting and should continue to be involved. It is an excellent opportunity to reach remote and hard-to-reach communities and improve access to and support of immunisation. The COMWACSS are able to reach an even wider population within the community. As the traditional wards are smaller than the political wards, community engagement can be targeted even more directly to communities. Because COMWACSS are from across the community and have well defined roles, they have the possibility of reaching across sectors and communication messages can be consistently spread. And because their responsibilities are for fewer people than other community engagement programs, there is possibly less risk of overwork and burnout. COMWACSS members receive no stipend for their activities. Work is seen as part of their community role and to support the Emir of Kano. There are several possible opportunities for EU-SIGN to help establish or work with similar initiatives in other States. Six other States (Bauchi, Borno, Kaduna, Katsina, Sokoto and Yobe) could work within similar traditional structures, as recommended in their tripartite agreements with the Dangote Foundation and the Bill and Melinda Gates Foundation. A Peer-to-Peer session with these States, led by members of the Kano team, could provide an excellent opportunity to share their experiences and lessons learned. Dr. Daiyabu suggested holding it in one of the new States. The KECCoH is a good model for Kano State’s traditional structure. When considering other States, it will be important to talk with stakeholders and leaders on what structures exist and what may be the advantages and possible difficulties of working with a traditional hierarchy. It may be an asset to include a mechanic or a technician on the COMWACSS. This person could help with preventative maintenance of cold chain equipment, especially the new direct-drive solar refrigerators that are being placed in wards. Data on births, vaccination and mortality are essential data for the SPHCMB and the information will be shared regularly. It could be an opportunity to eventually record basic reasons for mortality (e.g. maternal bleeding) to help inform the health service. Data is collected on simple paper tools, with a goal of eventually having an electronic system. Data could also be linked into the DHIS. It will be important for all States that are building community engagement and demand ensure that vaccine supplies and drugs are available and that health facilities are staffed. It is important to have the strong community structure, but also essential to maintain services and community trust in the health facility. EU-SIGN can exploit ways to foster and build on the existing partnership between Kano Emirate Council and SPHCMB. Dr. Attah and Mrs. McArthur greatly appreciate the coordination of the Kano EU-SIGN team and the obvious spirit of collaboration that exists between them. EU-SIGN has State Technical Assistants (STA) in the 23 EU-SIGN States and the FCT. The STAs work with the State Primary Health Care Development Agencies or Ministries of Health to implement activities and support policies to strengthen routine immunisation and primary health care in the States. They are key to EU-SIGN’s success. 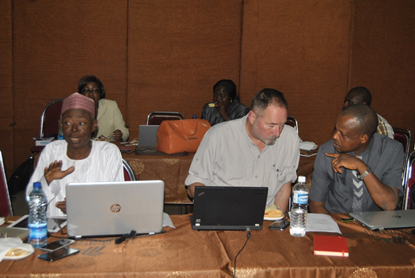 The first Bi-annual Review Meeting for the STAs and their State counterparts was held in Abuja from 5-8 November. Representatives of major stakeholders (NPHCDA, MBNP, EUD, WHO, McKinsey & Company, CHAI, IVAC, UNICEF) attended all or parts of the meeting. The Bi-annual meeting was an excellent opportunity to review the goals and objectives of the project’s second Operation Programme Estimate (OPE2); to review performance on routine immunisation and Primary Health Care Under One Roof in the States; and to review milestones, indicators and reporting tools. Dr. Attah, the EU-SIGN Immunisation Expert and Dr. Daniel Ali of WHO demonstrated several of the key immunisation monitoring and vaccine management tools and answered questions and provided clarifications. Short-term Technical Experts (STEs) in Public Health and Monitoring and Evaluation (M&E) attended the meeting and presented on their recent work on community engagement, working with Civil Society and on the new EU-SIGN M&E strategy. Several States prepared presentations on activities in their States and provided guidance to other States facing similar situations and challenges. The fourth day of the workshop focused largely on administrative and financial issues and State Financial Officers joined the workshop. Mrs. Aminata Sidibe, Training and Contracting Advisor / Procurement Expert led an interactive session on OPE2 financial procedures and was able to answer participants’ questions on timesheets, debit note preparation and other issues. 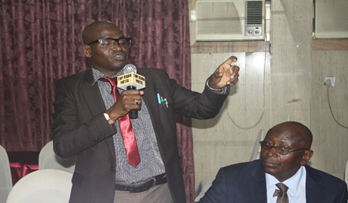 Team Leader, Dr. Lamiri reviewed job descriptions and expectations and also answered questions on procedures, challenges and solutions for successful implementation in the States. The conduct of the first STA Biannual Meeting Review was, no doubt, a huge success based on full attendance, level of participation, presentation of all planned topics, understanding as revealed from evaluation reports/results of each session with corresponding score of over 70%. The strategic direction provided by the approved OPE2, will enhance the quality and speed of Project implementation at State and LGA levels. The first day of the meeting received significant media coverage. The following clip from Channels Television provides an overview of the project and the meeting. The third result area of the EU-SIGN project is to improve information and knowledge generation for Routine Immunisation, which includes supporting Operations Research (OR) to inform and drive policy, planning and programme implementation. EU-SIGN supported a meeting in Lagos from 28-29 October 2015 to define the National Primary Health Care Development Agency (NPHCDA) research priorities and harmonise all research efforts of the different technical departments of the NPHCDA under the Operations Research (OR) Unit of the Department of Planning Research and Statistics (DPRS). The meeting was presided over by Dr. Urua (Head of OR of NPHCDA) and participants included Representatives from the ED/CEO of NPHCDA, SWZ Coordinator, Dr. Olayinka Oladimeji, NPHCDA Staff, representative of Permanent Secretary (PS) LSPHCDB, Dr. F. O. Sanni, DPRS (LSMoH) and EU-SIGN TA team (Team Leader and Immunisation Expert). 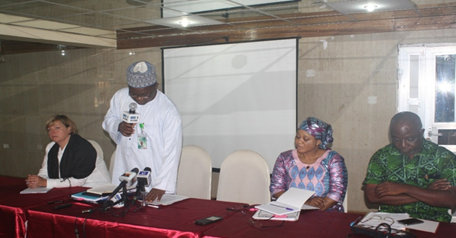 To manage the different OR studies and to avoid duplication of efforts and research, an Operational Research Advisory Group (ORAG) was inaugurated at the meeting, with the NPHCDA taking a critical leadership role to shape a OR strategy. This earlier inauguration of ORAG and outcome of this meeting is one of the biggest legacies of the EU-SIGN project. The OR Research Unit of NPHCDA has been empowered as the centre for co-coordinating all research in NPHCDA to avoid duplication and to improve efficient use of resources. The ORAG agreed to kick-start research proposal development with key timelines and responsible persons/bodies. EU-SIGN strategic objective in contributing to positioning NPHCDA for OR was clearly outlined. A draft work plan for OR was developed by the OR Unit of DPRS of the NPHCDA pursuance of the resolutions reached during the Lagos meeting. 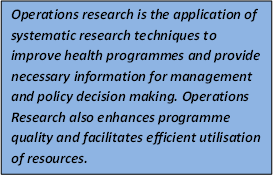 The DPRS should continue to pursue the NPHCDA research agenda as the leading agency in public health research. NPHCDA should create a special fund for research purposes. All partners should discourage segmentation of research through avoidance of vertical approach. All stakeholders, especially ORAG members should support the nascent body (ORAG) to provide the strategic direction for the NPHCDA research agenda.